Even before leaving Florida I was checking with my local Maine friends on how the lupines were doing. We usually arrive back in Rangeley as these gorgeous flowers are starting to bloom, and I was concerned I'd miss them this year. The spring had been pretty cold, and as we got here on June 6th, no lupines yet. I was wearing my Ugg boots and down jacket. Inside the house. But after a week of warm weather and gorgeous sunshine, the lupines started popping up! 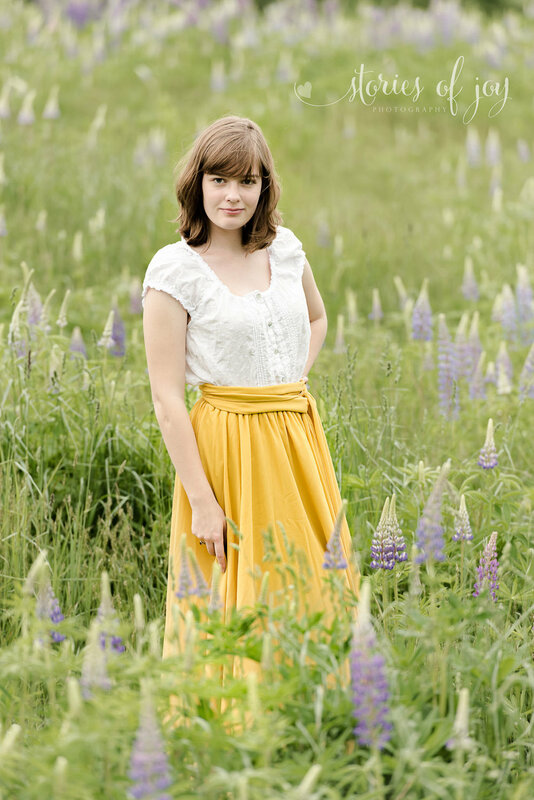 Today was beautiful, but cloudy, so my gorgeous model and I, armed with bug spray, drove to the closest lupine field. The black flies (tiny, nasty New England spring bugs that leave welts) found us after about a ten minute photo session, so it ended up being a super mini photo session. We did good, though! It's amazing what you can do in a mini session, too! We leave soon again, but if anyone would like to set up a mini session with me this week, contact me right away, and let's go capture some beauty together! I will also be back in Rangeley in July, and would be happy to set up a sessions then. I will be offering Day in the Life Sessions (vacation days are great ones to document! ), One Hour Sessions and Life Events. Please let me know how I can help you preserve your special memories with you. PS. Stay tuned for a Special Virginia Offer tomorrow!! !